Thanks to online shopping portals, you no longer have to go to another country to get all the fancy things they sell there. All you need is a credit card or Pay Pal or even an international debit card will serve the purpose. I cam across a website known as VIVI Clothes. They have a wide range of clothes, shoes, jewelry and even gadgets. What I like the best is that they have a lot of sizes on offer so people like me with big feet won't be disappointed. 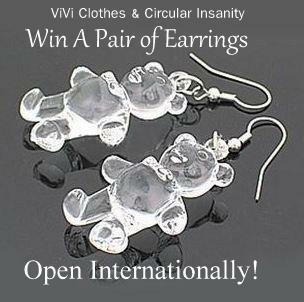 VIVI Clothes is a reliable company focused on fashion and women in the Netherlands. We sell high quality clothing from Japan, Hong Kong and Korea. VIVI Clothes is known for unique clothing, shoes, gadgets and much more. Also for the smaller women we have the unique sizes such as: xxs, xs, s and m size also special shoe sizes we offer such as: size 30,31,32,33,34,35,36,37,38,39,40,41,42,43,44,45,46,47. I would love to have a pair like that! Now, let's move on to the giveaway!